The Pens had one game this week up to this point, a 3-2 overtime loss to the Bruins. 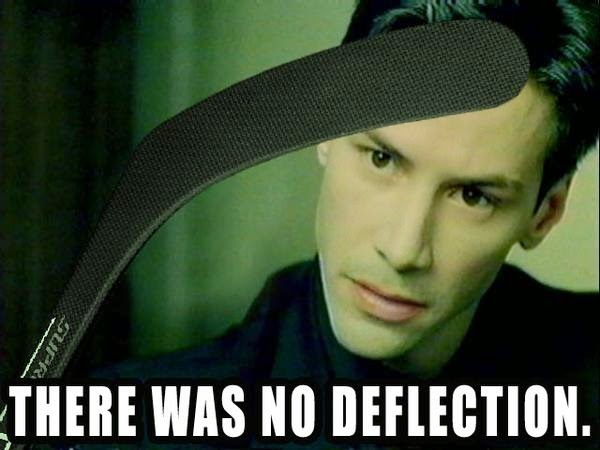 That game ended with a rather questionable goal review where everyone that had eyes saw the puck was hit ABOVE the crossbar, only for the refs - even after review of the video - to say that what everybody saw didn't happen. It was a tough blue pill to swallow. Congrats to Patrice Bergeron, who just defied all rules of physics. 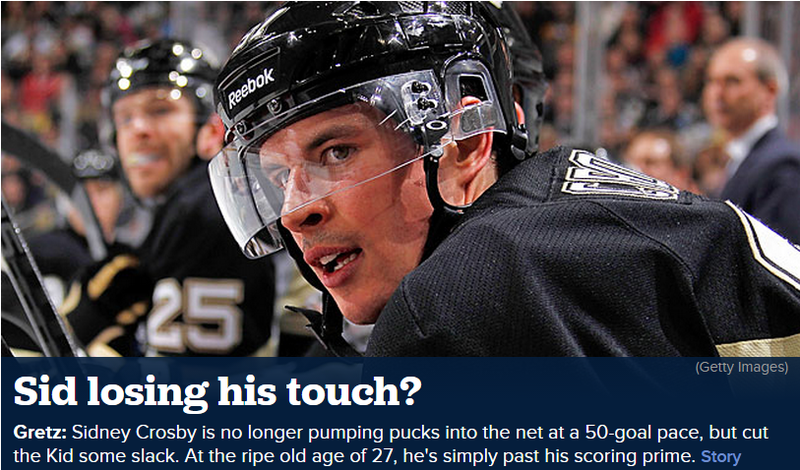 Is Crosby past his scoring prime? Something to take note of: A story on CBSSports.com written by Adam Gretz about Sidney Crosby and his age when it comes to burying the biscuit. If Crosby is indeed getting too old to score at an elite level, it's time to get working on the hockey equivalent of Viagra. Only time will tell if Crosby can shake off this slump that he has been mired in. While we may have already seen his best, I'm willing to bet that there is still lots of fantastic stuff yet to come. 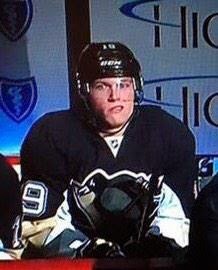 Pens Initiative will be holding a wet t-shirt contest in the near future. Get your hoses ready! [CORRECTION] It's actually just going to be a t-shirt giveaway contest. Details to follow... unless you really want a wet t-shirt contest, huh? HUH?! [CORRECTION to the CORRECTION] My editors have told me there will be no wet t-shirt contest... that will remain for Pens Initiative Staff only. Paul and Ryan continued their photoshop war. Who did you vote for? Liz talked about "this and that." Beth Mincin gave her thoughts on how the Pens have weathered this year's storm. Mike Traeger opined on what the Pens can do to improve during the second half of the season. Chris Barron gave his thoughts on the NHL in Vegas while being the best dressed of all of us. Tonight the Pens take on Slew-foot Subban and the rest of Michel Therrien's Habs. My prediction - Pens win 5-3. Get your game face ready!